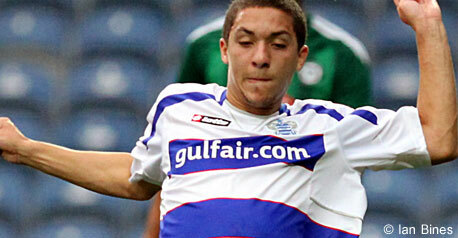 Hogan Ephraim has been left out of the 25-man QPR squad submitted to the Premier League on Friday afternoon. Ephraim is set to spend the first half of the season out on loan, largely because of the surprise inclusion of Jamie Mackie in manager Neil Warnock’s 25. Mackie is still recovering from the broken leg he suffered last term and was expected to be loaned out to gain match fitness before January, when top-flight clubs are allowed to re-submit their squads. Instead, the Scotland forward has made the cut this time around, leaving Ephraim facing the prospect of a drop back down to the Championship. There is also no place for Dan Shittu which will alert Millwall, who wanted to keep him following his short spell at The Den last season but missed out when Rangers made the defender a lucrative offer to return to Loftus Road. Millwall are also interested in Rob Hulse who, as expected, missed out along with Norwegian misfit Petter Vaagan Moen – who may be given a free transfer – and Patrick Agyemang. QPR squad: Kenny, Orr, Hill, Derry, Hall, Gabbidon, Taarabt, Dyer, Campbell, Bothroyd, Faurlin, Mackie, Traore, Buzsaky, Perone, Connolly, Barton, Young, Smith, Helguson, Cerny, Murphy, Wright-Phillips, Ferdinand, Puncheon. Space for him come Christmas!! Very, very disappointed indeed for Hogan. A top lad who deserves better.